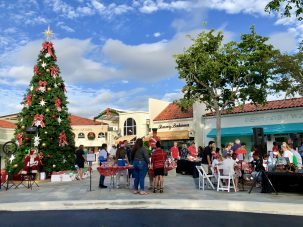 On Saturday, December 1st, The Village Shops and Big Brothers Big Sisters celebrated the countdown to Christmas with a holiday party. 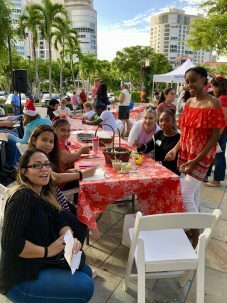 Bigs, littles, staff, and volunteers came together to enjoy a fun and festive day by the Bay. 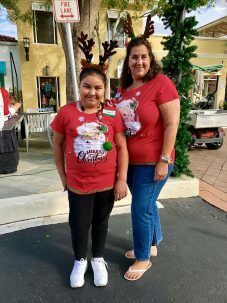 The big and little duos arrived one by one, wearing their favorite holiday attire – reindeer antlers, Santa hats, Santa shirts, and more! 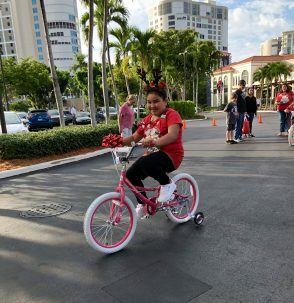 The spotting of Santa Claus, presents, and bikes adorned with bows by Naples’ tallest Christmas tree led to immediate excitement among all! First stop was at the crafting tables. Together the bigs and littles colored and painted holiday pictures. The littles eagerly finished up crafting and lunch, excited to meet with Santa. 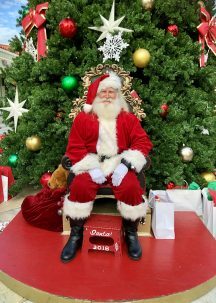 One by one, each child sat on Santa’s lap, took photos, and discussed their goals for the year. 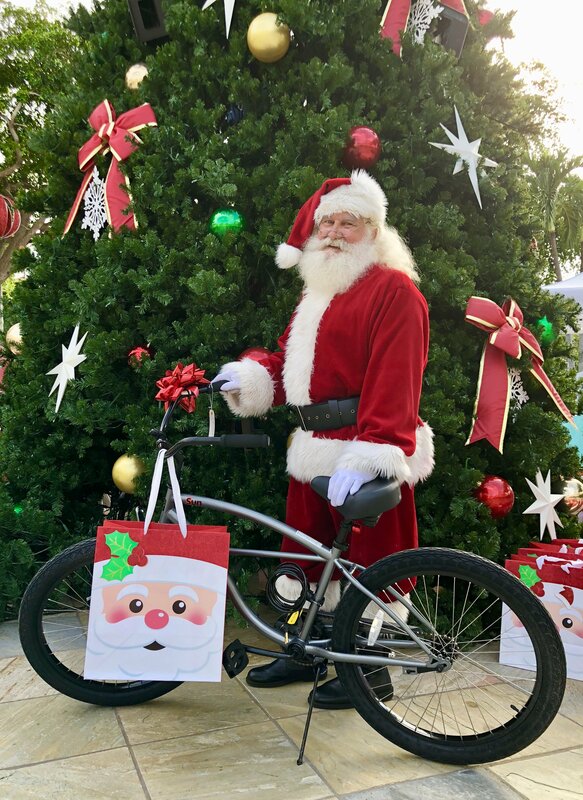 Santa was full of surprises giving the children presents, candy canes, and beautiful brand new bikes! The look on each child’s face said it all! They wheeled their bikes to the parking lot to be sized and adjusted by Western Bike and then hopped on for a test drive. 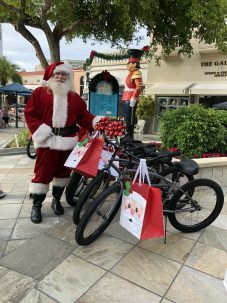 The Village Shops on Venetian Bay is proud to partner with Big Brothers Big Sisters each year, since 2013, to provide bikes to local, deserving children. 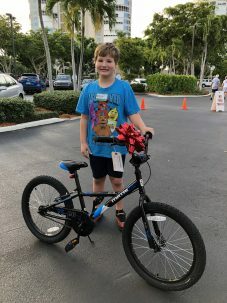 There were a total of 43 bikes donated by The Village to all new littles who recently joined the Big/Little program. Big/Little is a community-based program that provides a child with individual time and attention. 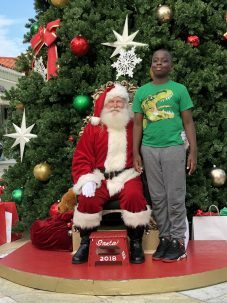 Big/Little outings, such as Saturday’s holiday party, are events filled with conversations and shared activities, which foster a relationship that helps youth manage the everyday challenges that are part of growing up. The program improves littles’ relationships with peers, academic performance, attitude towards school, and sense of future. 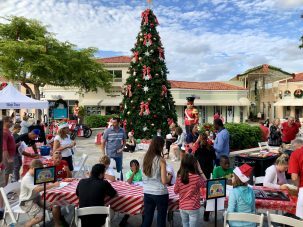 Naples’ North Pole has been hard at work this holiday season creating fun and excitement for the local children!